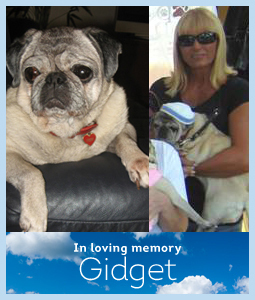 It is with sadness that we say that this morning we had to put down Gidget. She had had another stroke and we thought her quality of life was going down. We had her almost 6 years! We will always miss her cute little face…she was so sweet. It was almost 6 years since we got her from you in Miami before the hurricane. She was an amazing little lady!